The discipline of Knowledge Management (KM) is rapidly becoming established as an essential course or module in both information systems and management programs around the world. Many KM texts pitch theoretical issues at too technical or high a level, or presenting a only a theoretical prescriptive treatment of knowledge or KM modeling problems. 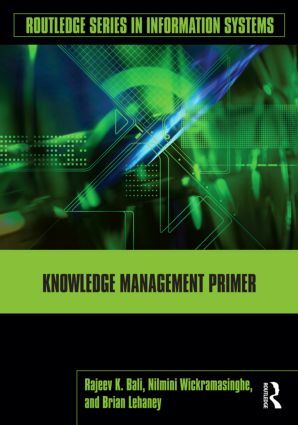 The Knowledge Management Primer provides students with an essential understanding of KM approaches by examining the purpose and nature of its key components. The book demystifies the KM field by explaining in a precise, accessible manner the key concepts of KM tools, strategies, and techniques, and their benefits to contemporary organizations. Readers will find this book filled with approaches to managing and developing KM that are underpinned by theory and research, are integrative in nature, and address softer approaches in manifesting and recognizing knowledge.